We're all about family discipleship at Harvest and want to provide the best level of care and ministry to the kids who come in our doors every Sunday. 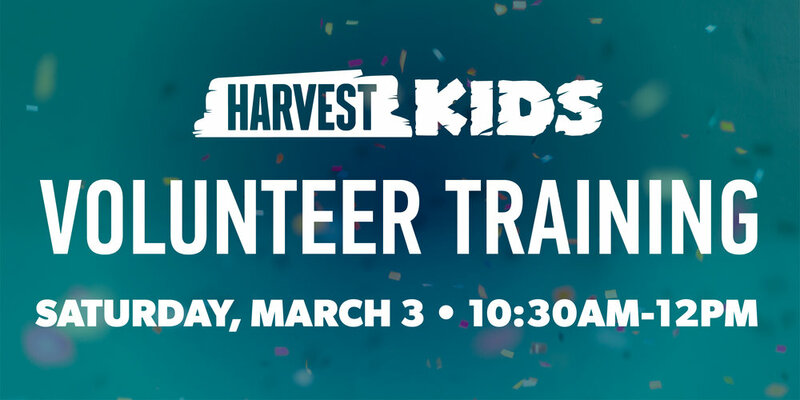 If you are currently serving with Harvest Kids or would like to begin serving with Harvest Kids, it is imperative that you attend this training. Training will take place in room 159. We will provide coffee and snacks!